14 Days. 14 Tasks of #Gratitude. Join the 14-Day Gratitude Challenge! This is the announcement post for the 14-Day Gratitude Challenge where you practice gratitude for 14 days. This challenge is now over but you can still do the tasks in your own time! Visit the overview page for all Gratitude Challenge tasks and posts. Do you practise gratitude in your life? Do you love giving gratitude to others? Would you like to cultivate the habit of gratitude? If you answered yes to any of the questions, then the upcoming 14-day Gratitude Challenge is just for you! Come 15 Aug, I’ll be conducting a 14-day gratitude challenge, where participants from around the world will practice gratitude for 14 days till the end of the month (28 Aug, to be precise). Every day, I will post a task of gratitude which you have to complete within the day itself. The task can range from giving thanks to your food, to transforming an ungrateful thought, to showing your appreciation to someone. At the end of the day, you are to report back to the site to share your results for the day itself and to join other participants in their discussions. The challenge will end on 28 Aug, where you reflect on your journey of gratitude in the past 14 days as well as create your plan on how to continue practise gratitude moving forward. Reply to this post now with your intention to sign up! The challenge experience is dependent on how many people participate in it. The more people we get to sign up, the more fruitful the experience will be for all of us. Simply pass the link for this challenge announcement page to a friend/family member, Facebook, and/or Twitter (with hashtag Gratitude Challenge), and let the page do the rest: https://personalexcellence.co/blog/gratitude-challenge/. I implore you to spread the word to as many people as possible as we spread the message of gratitutde to the world out there! Blog About Your 14-Day Gratitude Journey! For those of you who run a blog, I encourage you to blog about your experience with the the challenge! Share about the challenge with your readers, then write about your experience with each task starting from Day 1. This will add a layer of accountability for yourself, and also let you serve as an inspirational example to your own readers as they see your results from performing each act of gratitude! Proceed to Day 0’s task! After you have signed up, proceed to Day 0’s task on creating your gratitude journal! 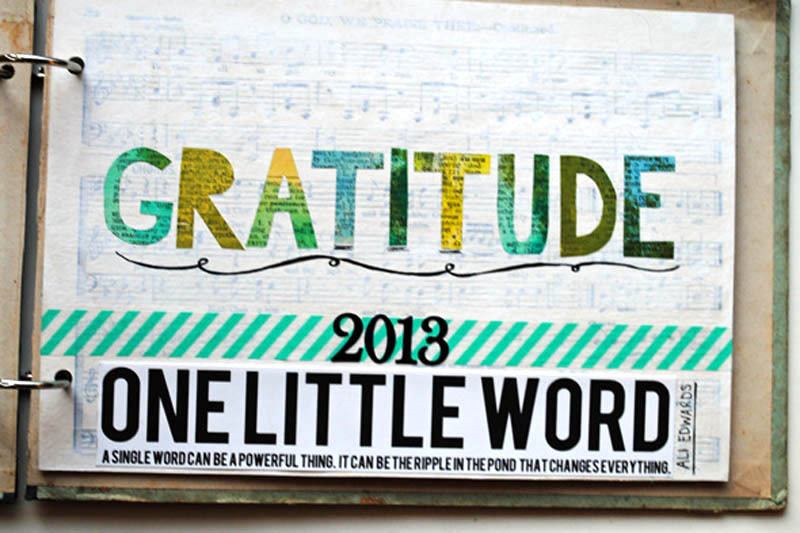 Tons of participants have shared pictures of their AMAZING gratitude journals already! Update Aug 29, ’13: The gratitude challenge is now over but you are more than welcome to do the tasks in your own time. 😀 Visit the overview page for all Gratitude Challenge tasks and posts!